After the stock price rose 12% in September, it just kept rising to become my second-highest performing stock in my dividend portfolio. Now the stock price is hovering around $80/share. An increase in customer traffic plus an increase in average spending per visit drove the share price increase- increases all around make me a happy investor! Hopefully it can keep up the good work. In the meantime, I'm enjoying my quarterly dividend from them of $10.92. Oh, General Electric. I used to tell myself that I'd buy it if it went under $30. That was, of course, before Warren Buffet started selling it off in June. Now it's $20.17/share. Wooops. Now I'm way down on this stock, but since I'm not selling anytime soon, I don't have to really worry about the losses. My own stake in General Electric has pumped out a nice dividend for me of $21.12 this month, so I am patient. There's some fear about them having to cut their dividend, however. Let's hope it doesn't come to that! Though it's another stock that has done exceptionally poorly in terms of price, I still don't regret buying B&G foods. Their dividend is huge. Earnings have not really suffered- people are still buying B&G Food's products (which include B&M Baked Beans, Emeril's Pasta Sauce, and Green Giant veggies). The company's strategy has always been to buy up neglected brands and make them relevant again, and I think they'll continue to do so. B&G pays me one of my bigger dividends: this month they gave me $26.51. The yield is up to over 5%! The monthly cherry on the sundae is always LTC, which faithfully paid me my $6.65. It's my only monthly payer. Once again, dividends have covered my phone bill. Hopefully in the future my dividends will grow to cover larger bills, like my food bill or my tax bill, but for now I am proud of what I have built- a dividend machine that pulls in income monthly! 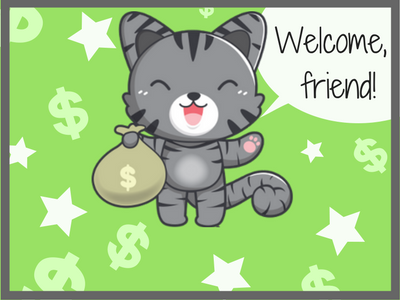 Dividend Friends, how did you do this month? We're long GE as well in Mrs. Wizards ROTH IRA. Her cost basis is north of $28/share. Unfortunately I think a dividend cut is looming. Negative free cash flow does not a healthy dividend make. I also read somewhere that it might get kicked out of Dow again. Apparently they don't like the share price of the highest stock to be much more than 10X the price of the lowest. Goldman, 3M and Boeing are all over 10X GE now. It's a small position for her, so I imagine she'll just stick it out rather than realize the loss. There's no tax-loss harvesting in the ROTH...could take a while for the share price to recover though especially after a dividend cut. Congratulations on another great month of dividend income! Good job some nice dividends paying you. Don’t have LTC but have other monthly payers. Good job keep it up.